There are an estimated 10-15 million stateless people worldwide whom no country recognizes as a citizen. Because they are not recognized, stateless people often do not appear in offcial statistics. 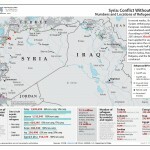 UNHCR has gathered data on approximately one-third of the estimated global population (3.9 million). 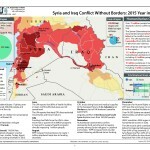 Over 15 million people have been displaced due to conflict in Syria and Iraq. The Syrian Observatory for Human Rights documented at least 260,000 Syrians killed in the conflict since it began in 2011. The UN reported at least 26,600 Iraqis killed from 2014-2015 due to acts of terrorism and violence. 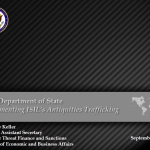 A September 2015 presentation from the U.S. State Department’s Bureau of Economic and Business Affairs on ISIL’S antiquities trafficking as a funding source. 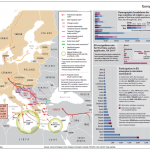 In recent weeks, the upsurge of Syrians seeking asylum in European countries has overwhelmed existing capacity. 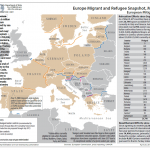 According to UNHCR, as of July 2015 almost 350,000 Syrians have applied for asylum in Europe since the conflict in Syria began, nearly half applying in Germany and Sweden and one third in Serbia, Hungary, Austria, Bulgaria, and the Netherlands combined. 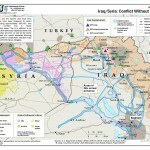 A map from October 8, 2014 produced by the State Department’s Humanitarian Information Unit depicting territorial gains and other statistics related to the Syrian Civil War and ongoing conflict with the Islamic State of Iraq and the Levant (ISIL). A map from June 23, 2014 produced by the U.S. State Department Humanitarian Information Unit depicting locations of displaced persons and areas taken by the Islamic State in Iraq and the Levant (ISIL) in Iraq and Syria. The United States Government assesses with high confidence that the Syrian government carried out a chemical weapons attack in the Damascus suburbs on August 21, 2013, resulting in a large number of casualties, including the deaths of 1,429 people, among them 426 children. 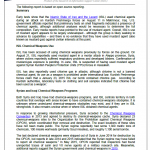 We further assess that the regime used a nerve agent in the attack. An overview presentation on the U.S. Department of State Operations Center from September 24, 2012. 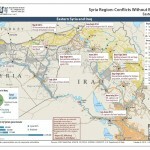 U.S. Department of State Humanitarian Information Unit map from July 19, 2012 depicting locations and numbers of internally and externally displaced persons as a result of the current conflict in Syria. 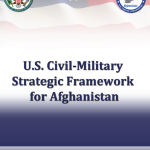 An overview of a U.S. State Department survey of Afghan women titled “Exploring Women’s Roles in Afghanistan” from October 2010. ﻿﻿The Criminal Justice Sector Assessment Rating Tool (CJSART) is designed to assist policy makers and program managers to prioritize and administer host-nation criminal justice sectors needing assistance. Once the assistance programs are underway, the CJSART is a systematic tool designed to measure progress and accomplishments against standardized benchmarks. Used in its entirety, the CJSART holistically examines a country’s laws, judicial institutions, law enforcement organizations, border security, and corrections systems as well as a country’s adherence to international rule of law standards such as bilateral and multilateral treaties. Every year, U.S. officials from agencies with anti-money laundering responsibilities meet to assess the money laundering situations in 200 jurisdictions. 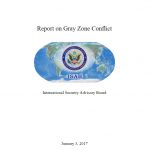 The review includes an assessment of the significance of financial transactions in the country‘s financial institutions involving proceeds of serious crime, steps taken or not taken to address financial crime and money laundering, each jurisdiction‘s vulnerability to money laundering, the conformance of its laws and policies to international standards, the effectiveness with which the government has acted, and the government‘s political will to take needed actions. Consular Affairs has developed a highly penetrative security ink to be used exclusively for cancelling nonimmigrant visas. This unique formulation, designated security ink #297, is specially designed to penetrate TESLIN, the synthetic material used as the basis of visa foils issued since late 1993 until the recent introduction of the Lincoln Visa. The ink finally selected was chosen after extensive laboratory testing undertaken by both the U.S. Secret Service and INS/FDL. Up to now, there existed no genuinely effective means for cancelling a visa permanently short of destructive methods that risked damaging the underlying passport page. To remedy this, CA commissioned the manufacture of two types of visa cancellation stamps in conjunction with the new security ink, and they are being distributed to visa issuing posts worldwide. 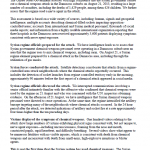 Two U.S. State Department OSAC Reports on the Caucasus Emirate from August and September 2010. OSAC constituents operating in India face a multitude of threats, many of which are difficult to evaluate from a security standpoint. Often times, the international media will mimic the hyperbolic Indian news industry and sensationalize a security concern, resulting in significant private sector hand-wringing. One such example of this is the Communist Party of India-Maoist insurgency in India, popularly known as the Naxalite movement. For instance, Naxalites ambushed and killed 75 members of India’s Central Reserve Police Force on patrol in Chhattisgarh state on April 6, 2010. The disaster triggered alarmist headlines around the world. A headline in the British Independent on April 8 screamed “Who are the Naxalites and will they topple the Indian Government?” The attack also brought renewed attention to the Naxalites from publications such as The Economist and The New York Times, which typically publish maps showing the current “extent” of the Naxal problem alongside their analyses. Even the Prime Minister of India Manmohan Singh is on record as saying that the Naxalites are the greatest threat India faces. On December 15, 2009, the City of London Police released film footage of hostile reconnaissance conducted in July 2008 by an Algerian national (Subject 1). Subject 1 was stopped by two alert police officers who saw him using his cell phone camera to record video inside Liverpool Street Station in London. When the police officers examined the footage they found 90 minutes of video recording of various sites in and around London and several UK cities to include Tube and mainline rail stations, shopping areas, bars, and restaurants. His detention and the follow-up investigation led to the arrest of Subject 1’s brother (Subject 2) and a third Algerian male (Subject 3). British authorities also looked at 30 other individuals and recovered extremist material supporting al-Qa’ida in the Islamic Maghreb in one residence. Police believe the two brothers may have been fundraising and conducting surveillance for a future terrorist operation. With the recent events in Tunisia and Egypt, OSAC constituents are concerned about opposition groups in other Middle Eastern countries attempting to stage similar uprisings. Many countries in the region, including Jordan, suffer from similar economic and demographic problems, which put them at increased risk of civil unrest. The recent series of Friday protests and subsequent conciliatory measures by King Abdullah has only increased these concerns. Nevertheless, Jordan is a unique country with significant differences, and its potential for civil unrest needs to be judged based on its own internal dynamics, even if that includes accounting for recent regional changes.